There haven't been a ton of new games out lately, so maybe you've had time to finish one or two that had been sitting on your backburner. And maybe, if you were lucky, one of those games was good enough that you had a hard time letting go. It's a unique and lovely thing, the bitterness that comes at the end of something wonderful. With books, each page brings you closer to the point where there are no more pages. With TV shows, each episode brings you closer to a finale that you have to see but almost want to avoid watching. And in games, it's that familiar feeling: You're nearing the final act and you sense the game coming to a close. And you start stalling, doing sidequests, enjoying the view. Anything to keep it from ending. Sure, you'll play it again. You'll probably play it many more times over the course of your life. But you'll never experience the story the same way, like when it was new. Of course, not every game ends; plenty of the best games live on for years through competitive multiplayer, user mods, downloadable add-ons and the like. So I'm really talking about story-based singleplayer games here. 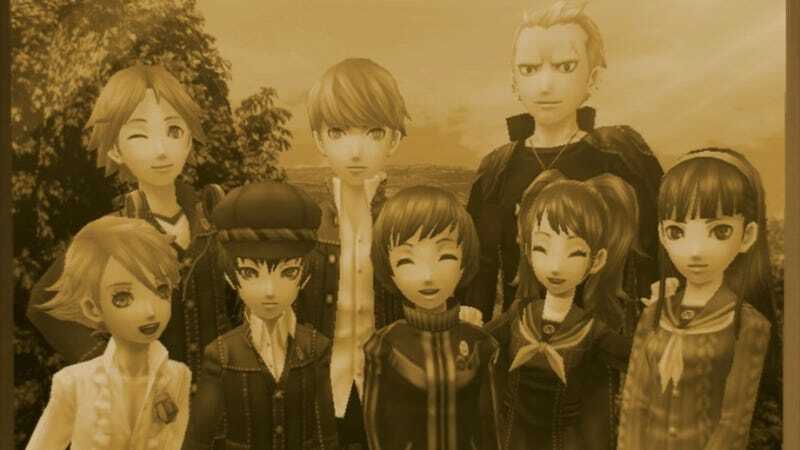 I thought we could take some time to look back at the games whose endings made us most bittersweet. Not the endings themselves necessarily, but the fact that the game was over. Games that left us watching the credits roll, wishing we could do it all over again, knowing we never can. For me, four games come to mind: Grim Fandango, Final Fantasy VII, The Longest Journey and most recently, Persona 4 Golden. That last one… man, the ending to that game should be in Merriam-Webster under "bittersweet." There are doubtless a few more, but those are the first ones that come to mind.